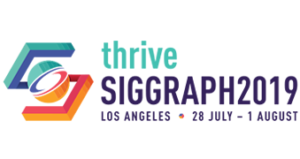 The SIGGRAPH Posters Chair is responsible for the planning, selection process, and presentation of the Posters Program at the conference. This program includes work that is still being completed and student research. The Posters Chair works closely with the Conference Chair, the Conference Event Director, volunteers, and contractors to produce an interesting and provocative program. The following list is a “high-level” view of the specific responsibilities associated with serving as a Posters Chair. The list is organized under general categories of responsibility. Assist the Program Coordinator in the collection of materials for the Conference Publiations and accompanying CD-ROM.